Seaford War Memorial recieves Grade II Listing! 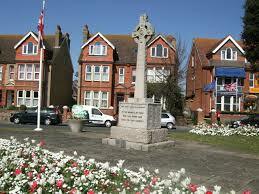 Seaford War Memorial receives Grade II listed status! Seaford Town Council was recently informed that The Secretary of State for Digital, Culture, Media and Sport has decided to add Seaford War Memorial to the List of Buildings of Special Architectural or Historic Interest. The memorial is now listed at Grade II. This listing helps to mark a building’s significance and celebrate its special architectural and historic interest. Seaford Town Mayor Councillor Linda Wallraven said, “I am delighted that Seaford’s main war memorial (there are three in total) has received this recognition, at least twice a year it is the focal point of the town, it now has a recognised status all year round”. 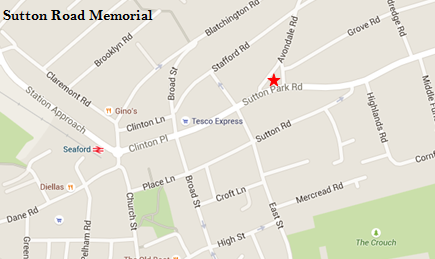 The memorial is situated at the junction of Sutton Park Road and Avondale Road. It is a tall example of the First World War Memorial granite wheel-head cross, unveiled in 1921. Later additions for the Second World War were added for service personnel, including civilians who died as a result of enemy action. It has been listed for historical and architectural reasons. Namely: as an eloquent witness to the tragic impact of world events on the local community, and the sacrifice it made in the conflicts and because of its design. The memorial has been moved a short distance during its existence but, overall, it is considered that the memorial has special architectural and historical interest and meets the criteria for listing. One such memorial was raised at Seaford as a permanent testament to the sacrifice made by 104 members of the local community who lost their lives in the First World War. The inscriptions include the names of seven men who died on service during the Second Boer War (1899-1902).